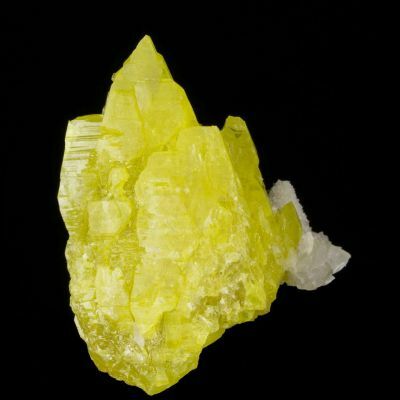 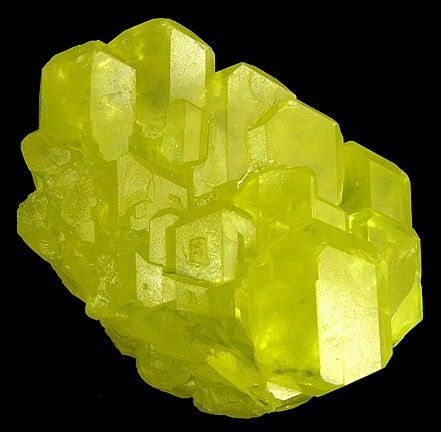 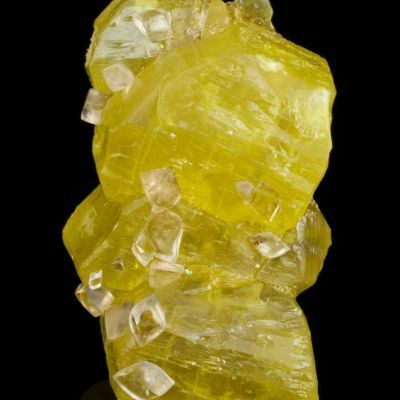 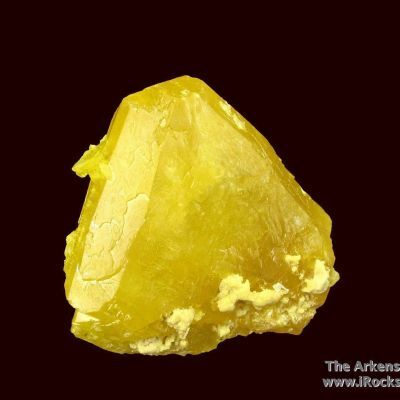 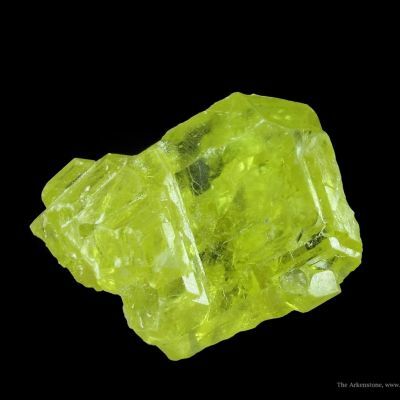 Here we have a classic, bright lemon yellow color Sulfur crystal group from Italy. 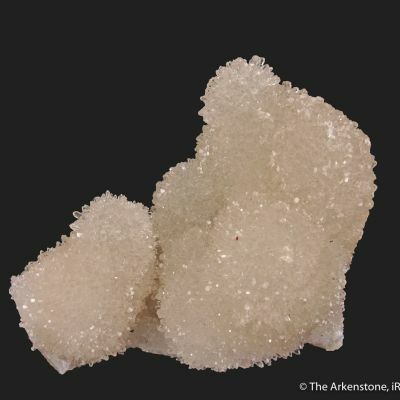 These well-formed crystals are in parallel growth and show relatively sharp faces with good gemminess/transparency. 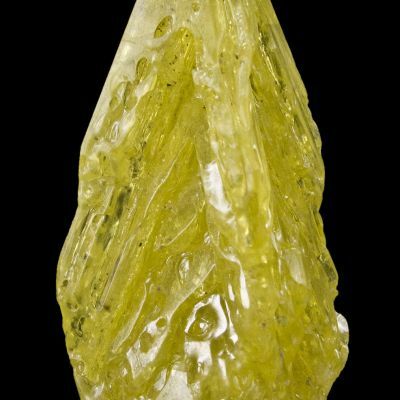 There is a tiny bit of attached matrix at the back/bottom of the specimen.